General Educational Development (GED®) classes prepare adults to take the GED® test. This course of study is designed to prepare students for the four subject areas of the GED® test: Reasoning through Language Arts, Social Studies, Science, and Mathematical Reasoning. This program is monitored to ensure student progression. Candidates who successfully pass the GED® exams are issued a State of Florida High School Diploma through the Florida Department of Education. With it you can go on to career or vocational education, college, join the armed services, and obtain employment. *Waiver program available to 16 & 17 year old students. This special program is available to qualifying students on our main campuses. Students must attend day classes regularly and abide by Polk County School Board Code of Conduct to stay eligible. Once a student completes all of the course requirements and passes the program exit exams, they will be issued an age waiver which will allow them to take the GED® exams before turning 18 years of age. 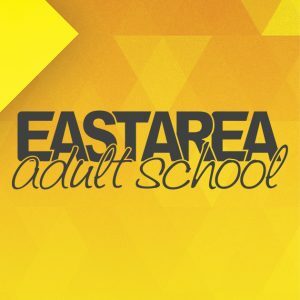 West Area Adult School offers a free preschool program on their main campus. The Pre-School and Family Literacy Program is eligible to the children (ages 3-5) of adult students enrolled full-time. *The GED® Testing Program has long provided accommodations to candidates with disabilities and is committed to compliance with the requirements of the Americans with Disabilities Act (ADA). In an effort to make GED® Tests accessible to all applicants, accommodations are made for candidates with diagnosed physical, mental, sensory, or learning disabilities who can provide appropriate documentation from a qualified professional of their impairment and its effect on their ability to take the GED® Tests under standard conditions. Adult Basic Education (ABE) classes prepare students for entry into the GED® program. This course of study provides student instruction in reading, math and language skills. Students may take these classes to move into GED® preparation class or to improve skills before entering college or vocational training. • Registration: Tuesday, Wednesday, Thursdays at 10:00 a.m., 2:00 p.m., OR 6:30 p.m.